Further updates are constantly being worked on, so please do call in regularly. Quickly find improvements and new pages by going to the “upgrades“” page, here. [C373-37A] The Pentacon Six system offers an extremely wide range of viewfinders, lenses and accessories. This is the place to find out about this remarkable system. If this is your first visit to this website, Welcome! You will find links to all parts of this website from this page (sometimes passing via more detailed menus on other pages). If you have been here before, and just want to find what is new since your last visit, please see the Upgrades box lower down this page. I have had to remove the live link. Please re-type this address. Thank you! Here (and in the title above) is the link to the title page and index for the Literature section. Here you will find information about books on the Pentacon Six and Praktisix, publicity by the manufacturers and the distributors on the cameras, lenses and accessories, plus advertisements and reviews. Here (and in the title above) is the link to the title page and index for the History section. Find out about the predecessors of the Pentacon Six, the history of the name, serial numbers, and much more! This website is continually being upgraded, sometimes in response to questions sent to me by visitors. Video tutorials. To find these quickly, click here. A search on YouTube for “Pentacon Six Expert” or “PentaconSixExpert” should also take you to this website’s videos. On problems responding to comments and questions on YouTube, please see here. For links to the latest upgrades, see here. Over the past 10-15 years, most newcomers to photography have probably started with a digital camera or even a mobile phone. While these items are extremely useful, they tend to do most or all of the ‘thinking’ for the photographer (on exposure, shutter speed, aperture and focus). People who find themselves restricted by the limitations of these devices are turning in increasing numbers to film cameras, and especially to Medium Format Film Cameras like the Pentacon Six. 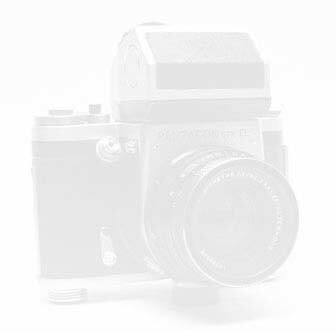 This website seeks to make the transition to this camera easier, by explanations not only of how to operate the camera, but also of general photographic principles. It is hoped that this will enable photographers to develop their skills and thus enhance the quality of the pictures that they take. Some explanations come on new pages, indicated at the appropriate time on the Upgrades page. Others take the form of improvements to existing pages, which may have been expanded since you last visited them. To find the latest news and upgrades quickly, click here. Many general explanations can be accessed via the Instructions page, here. Enjoy your visit, and do come back to visit me here regularly! Recently some pages have stopped displaying correctly in the Chrome internet browser. When this happens, I have found no display problems when using Internet Explorer 10, Edge, Mozilla Firefox or Sea Monkey browsers. If text and pictures fail to display correctly, it will be obvious – sentences split up, text and pictures don't line up, etc. If you experience this problem, I would encourage you to try using a different browser. It should solve all the problems.